Southeastern Massachusetts, including Middleborough, holds a wealth of archaeological information. In the past, however, much of this information has gone unanalyzed and overlooked. Making this information more readily available to researchers, educators, archaelogists and historians, however, is likely to provide a deeper and richer awareness and understanding of early local history. This is the premise behind the Plymouth Archaeological Rediscovery Project. Although Plymouth Colony was not the first English colony in the New World, it retains the distinction, justifiably or not, of being considered "America's Hometown" and "the birthplace of American Democracy". 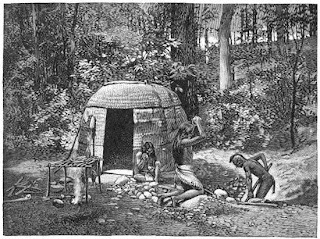 Unfortunately while Plymouth Colony maintains a rich and valuable Native American and Colonial history, the archaeology of the former Plymouth Colony has never been utilized to the degree that we feel it can be. Various institutions maintain collections excavated beginning in the 1850s, that for a variety of reasons (time, financial constraints, lack of staff) have gone unanalyzed and unpublished for decades. What we at PARP hope to do is to help to bring about a change in this situation by synthesizing as much of this information about Plymouth Colony and make it available to school teachers, avocational and professional archaeologists, historians and anyone with an interest in this historically rich area. One of the stated goals of the Plymouth Archaeological Rediscovery Project is the compilation of all known archaeological data covering the mainland area of the former Plymouth Colony (Plymouth, Bristol and Barnstable Counties). While the focus of the project is upon early colonial archaeology (1620-90), emphasis will also be placed upon Native archaeology as well. PARP also seeks to promote awareness of each community's archaeological history and resources, and solicits input from residents and researchers. Visit the Plymouth Archaeological Rediscovery Project website for much more information on this exciting project.